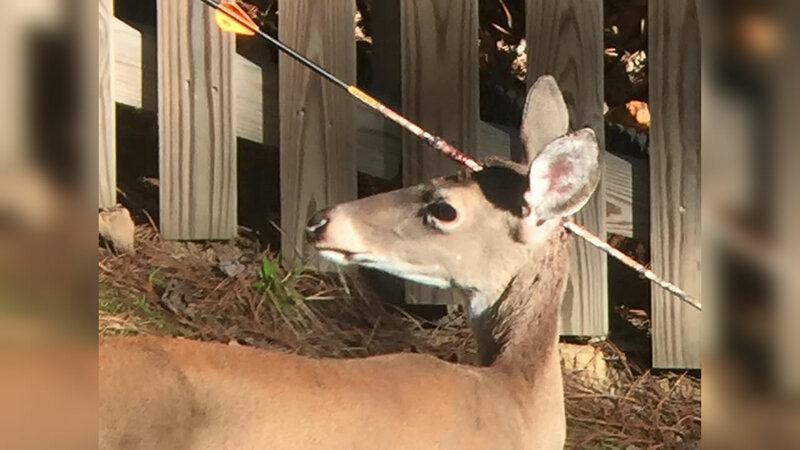 CHAPEL HILL, NC (WTVD) -- An ABC11 viewer shared photos with us that he took in his backyard of a deer with an arrow stuck through its head. Brian Attis said the doe wandered into his yard and didn't appear to be in any pain as it calmly munched on his grass. Attis said he contacted North Carolina Fish and Wildlife but was told if the animal wasn't suffering, there was nothing they could do.